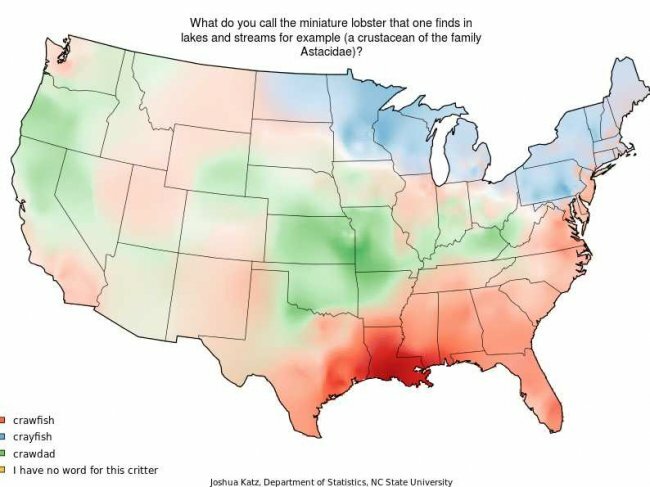 Far from showing “how Americans speak totally differently from each other”, the maps indicate a remarkable linguistic homogeneity. As far as I can tell, none of the differences that they record poses a serious challenge to understanding speakers from another region. Most regional and even international variations in English are humorous rather than obstacles to communication. This fundamental consistency is among the strengths of English and the countries that speak it. Although each has a standard version used for official purposes, languages like Chinese, Arabic, Hindi, and even German are really families of dialects so distinct that they are not always mutually intelligible. That has important consequences, namely a much stronger sense of regional and ethnic identity. It may not be coincidental that societies in these language groups have been characterized by counterbalancing tendencies to balkanization and to strong central states that hold the various regions and peoples together by force.